With its unique chain and gear drive system, this giant Earth model demonstrates how the tilt of the Earth causes both seasonal change and changes to the length of day and night. 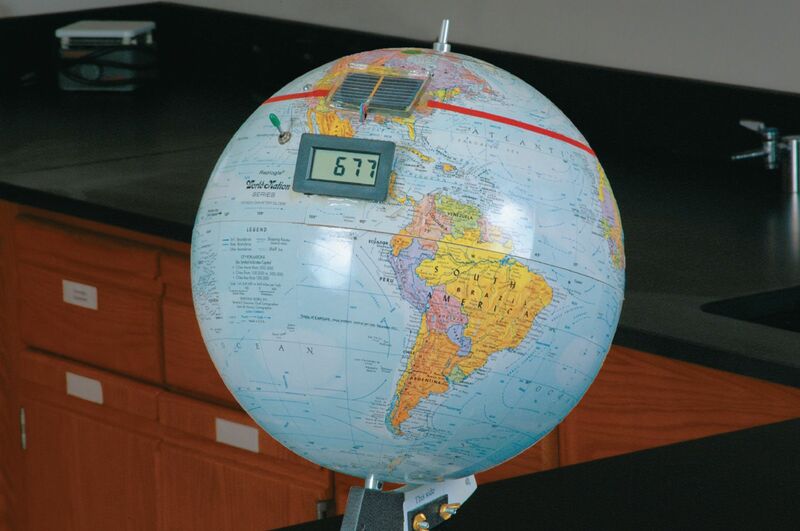 Mounted on the globe is a solar cell with digital display which measures the amount of “radiation” that part of the Earth receives from the Sun, represented here by the included flashlight. This can be repeated for every season of the year. The 23.5° tilt can also be righted, which allows students to measure the radiation again to compare with their original findings. Developed by teacher, Claire Zurbuch, this model includes instructions. Size: 49" x 16" x 22".